Gaining greater access to their medical records means more patients are requesting amendments. How will HIM face the strain? Health care is undergoing significant paradigm shifts at an unprecedented rate as traditional roles take a backseat to a new line of thinking. For example, patient-centered care has become a top priority for many health care organizations. As better-designed infrastructures and workflows support the transition to risk-bearing reimbursement structures, the need for airtight patient engagement strategies becomes paramount to performance improvement. It's a shift supported by a mounting body of industry research that points to healthier populations, happier patients, and lower costs when consumers partner in their care. "All kinds of studies reveal that patients have better outcomes when they are engaged in care," says Kristin Bumroongchart, RHIA, CHPS, manager of HIM at Sharp Rees-Stealy Medical Centers (SRSMC) in San Diego. One critical component to greater patient engagement is increased EHR access, which Bumroongchart says allows patients to conceptually understand the broader picture of their care and identify potential errors. "If they are reading a note from something that just happened, they are more likely to go back to their physician with questions," she says. Jane Duckert, MA, RHIA, director of HIM at University of Wisconsin Hospital and Clinics (UWHC), is pushing for patients to have more access to documentation because "it will take some of the mystery away and ensure the information in the record is more accurate." Many experts agree that having electronic access to charts via portals and other mediums will lead patients to scrutinize their data like never before. And while EHRs hold great promise in moving the industry toward more coordinated, collaborative care, they also present serious complications when errors are made and amendments are necessary. Duckert, who partners with IOD Incorporated for release of information (ROI) services at UWHC, points out that when incorrect data are introduced, EHRs often populate many areas of the patient record with that information immediately. As data are shared between systems, the proliferation of the error is exacerbated. By the time the problem is identified, many authors may be required to make amendments to several notes. Christine Williams, RHIA, a transcription and record quality manager at UWHC, recalls an incident in which documentation indicated that an emergency department patient had been involved in a helmetless motorcycle accident. Eventually, the erroneous details were integrated into 80 different notes through EHR tools and had been completed by 35 different providers. When the error was later discovered that impacted the patient's reimbursement, HIM was charged with locating and coordinating the amendment of all 80 notes. To further complicate matters, amending errors in EHRs, a function that many were not designed to address adequately, is no easy task. It's a situation that needs to be addressed sooner rather than later, says Ethan Katsh, a professor of legal studies and the director of the Center for Information Technology and Dispute Resolution. "The software being used for medical records needs to include functionality for correcting errors," he notes. "I don't want to oversimplify the challenge, but I think up until now, vendors and developers have largely ignored this problem." • Patients believe there are numerous advantages to providing feedback on their medication data and are eager to do so. • Patients can provide useful and accurate information through online feedback systems. • Processing patient feedback will require both software and human adjudication. • Software can facilitate the HIPAA goals of access and amendment. Not only did patients say they were eager to provide input, they also cited numerous reasons to make amendments to their medical record. "There were just lots of errors," Katsh says. "No one disputes the fact that medication lists pose problems, but there were more serious errors found." As part of the larger study, a pilot was conducted at Geisinger Health System in which patients were encouraged to provide feedback on their EHR medication list in advance of an office visit. Of the forms completed, a whopping 89% of patients requested changes to their medication record. Following phone consults with the patients, pharmacists accepted 67% of the requested updates; 51% of the changes were made even if the patients could not be reached. As patient access to medical records has continued to improve, Williams says the volume of amendment requests has increased. Whereas the HIM department at UWHC was receiving an average of one or two amendment requests per week over the past three to five years, it is now seeing six to 10. "Most are simple," she acknowledges, "but one or two a week that come through are complicated." 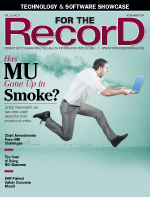 While SRSMC is experiencing a gradual increase in amendment requests, Bumroongchart expects the total to take a significant leap once the organization moves to open notes in patient records. "Since we opened our patient portal, there is more activity," she says, adding that the department currently receives one to four requests per month. "It will be easier to amend [once patients are more involved] because errors will be caught faster. We always encourage patients and physicians to work on making changes before going to the formal amendment request process." EHRs present obvious challenges to error management in that they can pull information into multiple locations to be viewed by multiple providers. Exacerbating this challenge is the fact that EHRs historically have not been designed in a manner that makes it convenient for users to adjust data. Katsh, a nonpracticing lawyer and an author who was instrumental in the pilot program that led to eBay's current resolution system, says there's a notable difference in the amendment processes of health care and online auctions. "The challenge of correcting errors in health records is more complex than helping consumers resolve disputes within eBay," he says, pointing out that it actually may be easier to amend paper medical records. A significant hurdle to improving the EHR correction process is that many electronic record systems direct patients to call their physician if they spot an error instead of providing a process for making an amendment request. "Follow-through under this scenario is not very likely," he says. "You need to design functionality that will likely be used." Katsh says that the question going forward is: How can the industry design a system that pulls information directly from patients and makes the appropriate changes to their records? "The vendors have to take this seriously," he notes. "It's a question of potential maltreatment health risk." As more patients become engaged with electronic data, the need for inaccurate or problematic notes to get corrected early in the process is greater, according to AHIMA President Cassi Birnbaum, MS, RHIA, FAHIMA, CPHQ, senior vice president of HIM and consulting services with Peak Health Solutions. While this presents obvious benefits to patient care, it also creates workflow issues for HIM departments. "Certainly there is an uptick in requests for records and amendments with the introduction of the EHR and patient portals," she says. "Suddenly everything is now under the microscope. The patient has a huge role in keeping it honest and holding the record to high integrity." Experts agree that greater patient access to records is advantageous to care. Nevertheless, it requires new workflows and processes within HIM to compensate for patients being more engaged. "The role of HIM has evolved in terms of how they are managing release of information and access to patient information," Birnbaum says. "Having complete information is critical. The bottom line is the information being used for care decisions must be accurate, complete, and reliable." The top priority for HIM is to make sure a strong process is in place to address amendments and that staff are adequately trained on how the system works. "There are time limits we must meet according to law," Birnbaum notes. "HIM professionals must have a clear understanding of this process so that they can educate and inform physicians and effectively communicate back to patients." There are 30- and 60-day windows for documenting amendments, Williams says. If the process exceeds 60 days, an organization must file for a 30-day extension. At UWHC, patients seeking corrections to their files are immediately referred to HIM. The department takes charge of the process, working with clinical staff and the patient relations department as the main contact from start to finish. Essentially, HIM becomes the liaison between the facility and the patient, taking the pressure off the provider, who can then focus on patient care. "We send the patient documentation that needs to be filled out and we coordinate with the providers involved and communicate their responses back to the patient," Williams explains. "If an amendment is approved, the provider will make the change, and we will notify the patient in writing with the amended record. If denied, we communicate back, and the patient can write a statement of disagreement that is contained in the record." From a workflow perspective, Bumroongchart says a simple amendment request takes a minimum of two hours to process while complex situations take longer. As amendment requests continue to increase, she is considering how to better allocate limited resources to this evolving area. With patients gaining more electronic access to their records, Bumroongchart believes it may not be necessary to devote as much time to ROI functions. "Once we transition to open notes, I'm planning to train someone from my ROI staff to take on amendment tasks," she says. Williams believes that the amendment function will ultimately force the department to seek additional resources, especially as cases become more complex. "Providers are becoming more aware and taking a close look at what they approve and deny," she explains, adding that many are considering the broader legal ramifications before allowing amendments to be added to patient records. In one case, a patient requested an amendment that involved two providers. While one agreed to the change, the other disputed its validity. "That became quite complex," Williams recalls. "We pulled in legal and risk to make sure we were providing information back to the patient consistently. It took extra time and resources from not just our department but the provider as well." According to Duckert, besides resource realignments, a boost in amendment requests also will require new skills sets, including customer service and greater technical expertise, for HIM professionals. "Our department is very customer oriented," she says. "We are the patient advocate to help them maneuver through the complexities of health record law, but it does take some training and a higher comfort level with staff feeling comfortable challenging physicians when they get pushback." At UWHC, HIM correction experts are working with providers to get a better grasp of the entire process. "It's not just about processing the amendment but working with that provider on how to make that amendment accurately," Williams says. "We work from start to finish with the provider. It requires HIM to be technical experts on how the EHR works." Having made the transition from paper in 2008, UWHC has adjusted to an electronic environment for the most part, Williams says, noting that the switchover required extensive HIM training on how to use the EHR. "Some of our staff has worked with EHR vendors training programs to be certified with certain applications," she says. "We work closely with the IS [information systems] department for building, testing, and validating different functionalities. The skill set has definitely changed to being more technical." Greater patient involvement has meant more complicated questions for HIM. For example, Williams has noticed more patients requesting diagnosis changes either for reimbursement purposes or personal reasons. "We have seen patients take a more active role in the disagreement process," she notes. Bumroongchart believes physician education may help minimize unnecessary amendment requests associated more with confusion than actual error. "Physicians are not used to documenting in a way patients can understand," she says. "If they explain things in the record well—or in a way that patients can understand—we can minimize issues."